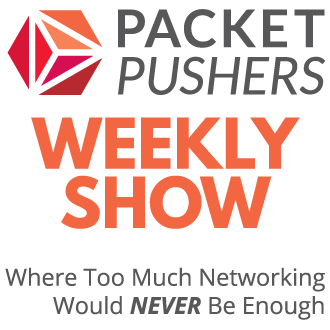 The Packet Pushers are taking the Virtual Whiteboard on the Virtual Road in their MPLS powered Virtual Bus so that you can join in on your own VLAN. We’ve strapped a bunch of whitepapers and textbooks to the roof with PseudoWires, the QoS is prioritised and we are ready to take your suggestions and walk through designs of your choosing. In an open forum, we want to get whole bunch of people together to talk through a design. Yeah, it might be chaotic but it’s all good clean fun. Leave your WAN Accelerator and join us for the the very first Design Clinic. Bring your design questions and lets see if we have an answer. We might, or we might not, but we’ll give it a go. Design Clinic. The Virtual Whiteboard Just Got Real. 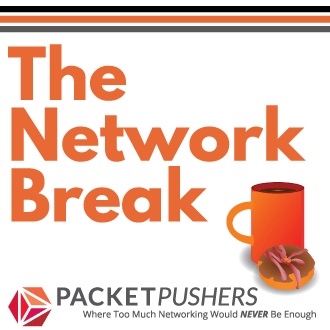 The Packet Pushers are jumping in with both feet this time: we’re setting up a virtual conference room and inviting you to bring your network design challenges. We’re calling it the Design Clinic. The virtual whiteboard we’re always on about is getting real. No topic limits. Bring it on, and let’s see what crowdsourcing can do. How will it work? We don’t really know. Think of the Design Clinic as a live version of the podcast – a nerdy twist on a radio call-in program. Join the conference, and we’ll have folks explain their design challenges. Then, we’ll have a panel to have a go talking them through and then open up to questions from the listeners. The idea is that you get to bounce a real-world problem you’re facing off of different folks with different backgrounds and experience, and come up with different approaches to resolve the issue. Options. Solutions. Pros and cons. Words of wisdom from those who’ve been there before. The unbiased viewpoint of fellow network professionals with no ulterior motives. You want in? Well, good! We want you to show up. It’s free. All you need to do is register. The first Design Clinic is Thursday 6/30 @ 1PM EST. We hope to see you there. Great idea, Any chance this will be recorded and made into a podcast? I’m not sure about this. Because we are still working out the format, maybe not because it might be too scrappy and disorganised. But I’ll record it and see how it goes. Event was a year to two ago. the old post recycler must have picked it up. Sorry.